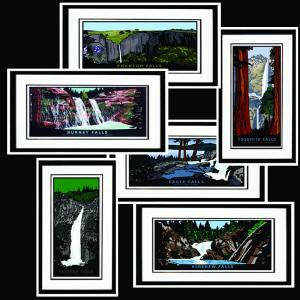 Includes all 6 California Waterfall Series images in framed one set. All the images will have the same Edition Number throughout. 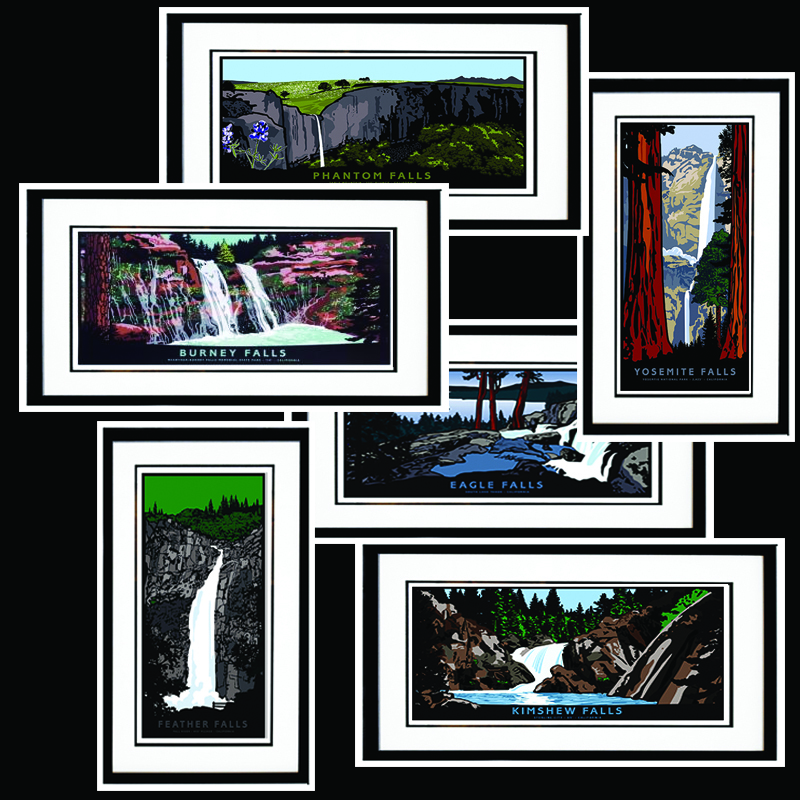 Our "Basic" frame package for the California Mountain Series Set includes all 10 prints individually framed with: acid-free foam core backing, archival double mat (Warm White top mat and Raven Black bottom mat; 2 3/4" overall viewable width, 1/4" reveal on bottom mat), standard plexi glass, and a 3/4" smooth black, gesso coated wood frame. For other framing options, contact us. The first three images have a release date of March 18, 2017- and as the next three prints are created and released (late May, 2017), we will ship the entire set to you. Your order includes freight charges for all of your prints. We will contact you to confirm your address is current and that you want the images shipped to the same location after the second release.